Happy Monday! Can you believe it’s Easter week! I know it’s a busy week for most of us, so I wanted to share a little DIY project that won’t take long! 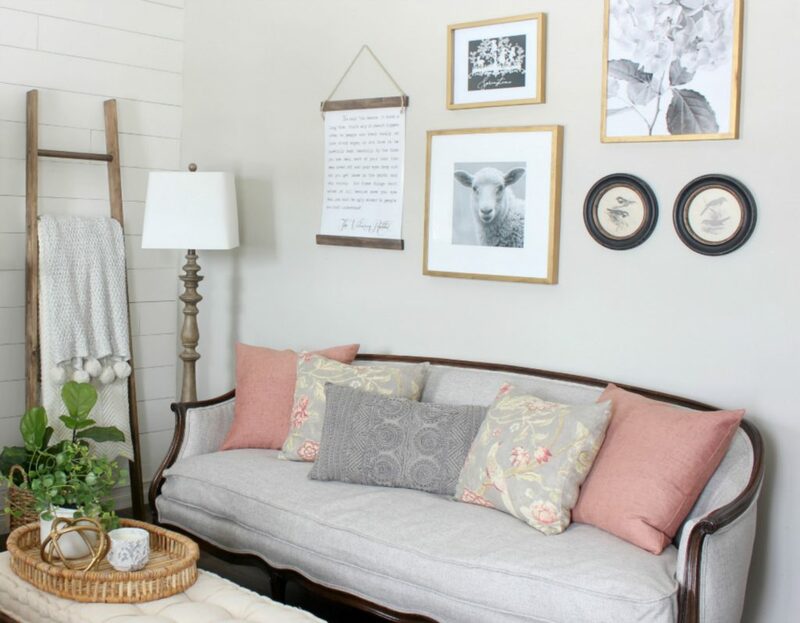 You may have caught a glimpse of The Velveteen Rabbit wall hanging in my living room gallery wall that I shared last week in my Spring Home Tour. Here’s a close up of the wall hanging. Making a wall hanging like this is so easy. You just need a few basic supplies. You can find the free printable in my subscriber only Free Printable Library HERE. If you don’t already subscribe to get my blog posts in your email, you can do that HERE. It’s free and just takes a few minutes of your time. Once you are a subscriber, you will receive a password that will give you access to my complete printable library. If you are already a subscriber, you can always access the Free printable library by following the button link in my sidebar. 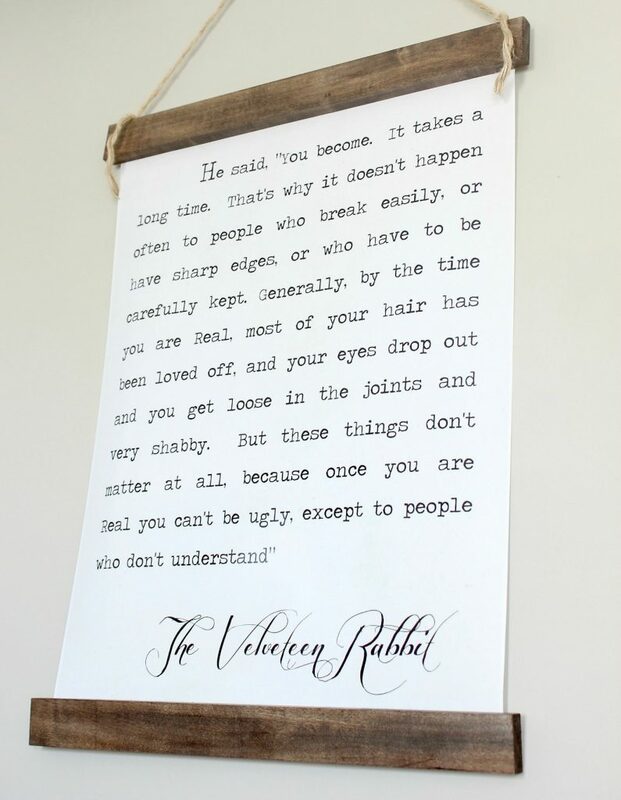 The Velveteen Rabbit Printable is sized for a 16 x 20″ print. You can have this printed at any local quick print shop: Costco, OfficeMax, FedEx, Walgreens, Staples – just to name a few. It’s black and white, so you can have it printed as an inexpensive engineering print if you like. For this print, I used the Costco photo center. It’s on photo paper, which is heavier, and I chose a matte finish. There are pros and cons to this. The photo paper is heavier than an engineering print paper, but even with a matte finish, there can be some glare and I had the hardest time getting really clear gallery wall photos because of that! Anyway you choose, it should be under $5 to have the image printed. I like to pick up the wood pieces for these wall hangings at Lowe’s. They have pieces that are already cut to 4 ft. lengths for under $3, and then you just need to cut that piece into (2) 17″pieces. You can stain, paint, or leave the wood trim pieces natural. Screw the eye hooks into the top piece of wood about 1 inch from each end. Now, it’s time to attach the print to the back of the top and bottom wood pieces. I just used my hot glue gun and ran a thin bead of glue near the bottom of the wood and carefully attached the paper print. 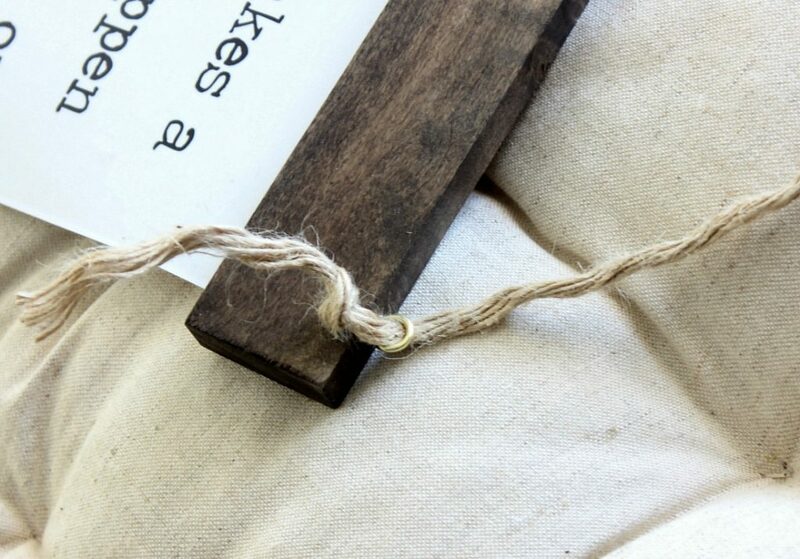 The last step is to attach the twine hanger. I ran the end of twine from the back to front of the eye hook and knotted it. 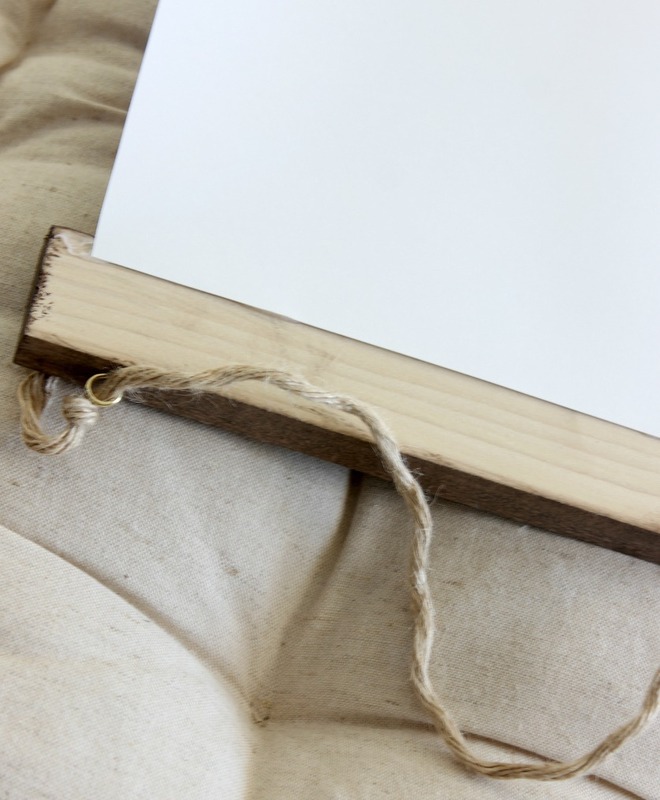 My twine is a little thicker, so the knot itself keeps the twine from slipping through the hole of the eye hook. But, you can just tie the twine to the hook with a simple knot. Easy – any way you tie it!!! That’s it! 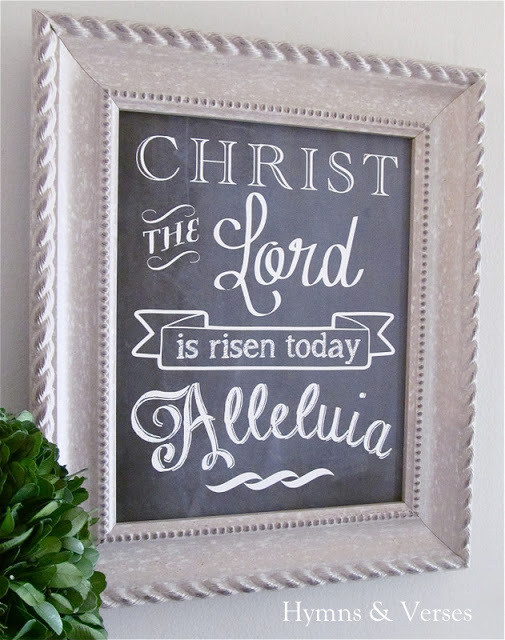 No you have some simple artwork for your Easter home. You could also make one to take as a hostess gift if you are visiting family or friends for Easter. 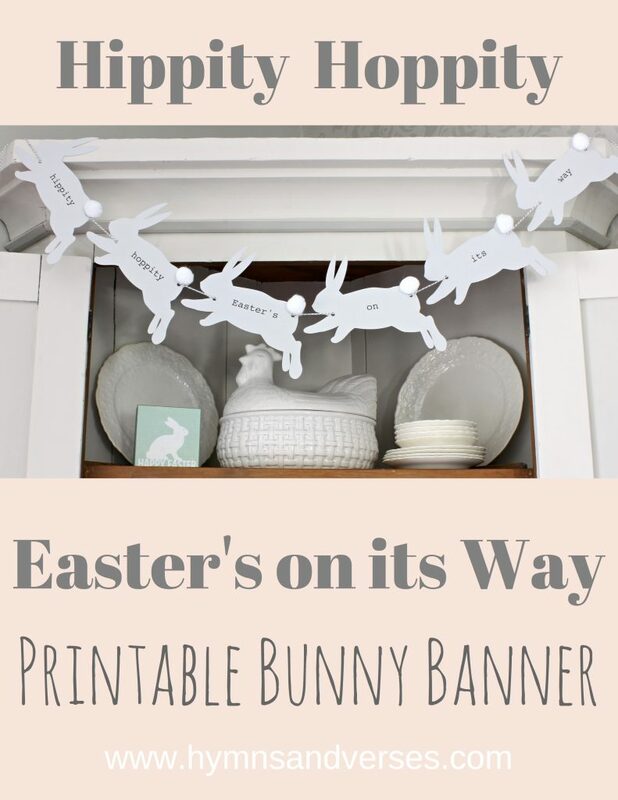 Here are a few more free printables for spring and Easter that you will find in my FREE Printable Library. Hi Doreen; would you mind sharing where you purchased the sofa in the picture of the gallery wall? I’m a long-term subscriber but can’t seem to access the free printabls (which I LOVE, ty!) what am I doing wrong? This is a cute printable, thanks and i love your sofa it is a beauty. I love this. I remember when my Mom read the book and she said she understood why we kids cried over her getting rid of old dolls. She thought they were so ratty. The new looked so pretty!! But I told her Thank you 😊. For how could I have kept every single toy I’d grown attached to?!! But we both loved the book as did my girls. This print evokes such happy memories. Thank you. I clicked the button to download the Free Forms but can’t find the Velveteen Rabbit. How do I find it? Hi, I am a subscriber but I don’t think I ever paid attention to a password to download images. I rarely download but love the Velveteen rabbit quote! How can I get the password again? Love your blog and style! I tried to subscribe to posts and to access free printables, but it just says already activated and gives no password. Thanks for your help. Hi, Ginny! I’ll email you the password! I am a subscriber to your blog and love it!! I don’t remember what the password is though for the printable library. I’ll send it to you, Mary! Hi Doreen, I’m unable to access your free printable’s. I’m unsure what Im doing wrong? Lisa. Here is the link to the free printable library. https://hymnsandverses.com/free-printable-library You will need the password to access the page. The password is in each email I send out.